THE US is “expected to invade Iran” with military force by the end of his year after the war of sanctions escalates, an expert has claimed. The US and Iran are currently at loggerheads over sanctions following the breakdown of the Nuclear Deal, and the Islamic Republic has gone to the highest court of the United Nations to contest it. But German political scientist Josef Braml believes the decision by the International Court of Justice will be ignored by the US. He goes on to say that Donald Trump is probably already planning air strikes and he not only wants to hit the regime in Tehran, but also China. When asked if he expected military strikes, Mr Braml said: “Yes, I assume that the Americans will take military action against Iran later this year. “I can’t really imagine an attack with ground troops. Presumably there will be targeted air strikes to eliminate Iran’s nuclear capabilities. He goes on to say that there are only two options. The expert added: “Either the US, Israel and Saudi Arabia agree that Iran may, in principle, continue to develop nuclear capacity, or not. The expert’s comments come after Iranian Supreme Leader, Ayatollah Khamenei, warned the country’s President and his cabinet they can’t rely on the support from European countries for the landmark agreement after the US withdrew itself from the accord. Mr Khanmenei said Iran might take the extreme step to abandon the deal altogether because of a lack of faith in the ability of European countries. He made the remarks during a meeting with the President of Iran, Hassan Rouhani. Mr Khanmenei said in a post on his website Iran “should give up hope on Europe over economic issues or the nuclear deal”. European countries have been working hard to keep Iran in line with the nuclear deal by making sure Tehran receives economic benefits. The swift action from European leaders follows Donald Trump’s withdrawal from the historic agreement. Since the US withdrew from the accord, Iran has endured economic problems as a result of sanctions implemented by Trump. The facility is reportedly in its final stages of construction and will likely be completed by early 2019. New satellite images of an area in northwestern Syria show the establishment a new Iranian surface-to-surface missile factory which may house weapons capable of striking Israel. The images taken by ImageSat International (ISI) purport to show evidence suggesting that Iran is continuing to build various facilities related to the development and production of surface-to-surface missiles (SSM) in the area of Wadi Jahannam near Baniyas. According to ImageSat, some of the structures at the site which is involved in the manufacturing and assembly facility of different SSM types have similar visual characteristics as structures built at SSM facilities in Parchin and Khojir in Iran. While ImageSat assessed that Iran is assisting Syria’s SSM capabilities for the Syrian civil war, “since those conflicts are currently smaller and less widespread than before, it is possible that the Iranian efforts are for future use by Hezbollah or Iran itself against Israel as well,” they wrote. Jerusalem has admitted to having carried out hundred of strikes in Syria and is accused of striking hundreds of others, including the Al-Tala’i Research Center in nearby Masyaf in September 2017 which was also related to Iranian SSM activity. Russia deployed the advanced mobile S-300 and S-400 anti-aircraft batteries to Syria in October 2017. The batteries are capable of engaging multiple aircraft and ballistic missiles at a distance of up to 380 kilometers, covering virtually all of Syria as well as significant parts of Israel and neighboring countries such as Turkey and Jordan. Jerusalem has repeatedly said it would not allow Iran to set up a permanent presence in Syria and Israeli officials have met with their Russian counterparts numerous times to stress its importance. Last month Israel refused a Russian offer to keep Iranian troops in Syria 100 kilometers from Israel’s border, with officials stating that Israel wants Iranian troops to fully withdraw from Syria, something that Russia has warned would be unrealistic. On Wednesday Israeli Prime Minister Benjamin Netanyahu warned that it would continue to act against the enemies of the Jewish State and that it has the means to destroy them. “Those who threaten to wipe us out put themselves in a similar danger, and in any event will not achieve their goal,” he said during a ceremony at the country’s atomic reactor. Two years ago the IDF noticed a strategic shift by the Iranians and the IRGC’s Quds Force commander Maj.-Gen. Qassem Soleimani who began to change his approach to Syria which was once again falling under the control of Syrian President Bashar al-Assad, turning it into a strategic platform for the Islamic Republic. A “whiff of grapeshot” is how English historian Thomas Carlyle described Napoleon’s method of stopping a Royalist riot during the French Revolution. Napoleon ordered his men to fire cannon loaded with “grapeshot,” shrapnel, directly into the mob, killing some and scattering the rest. The saying has lived on as a lesson in deterrence: decisive and brutal force used at the right time can avoid a more serious engagement with higher casualties. The failure to learn this lesson about deterrence has compromised our now four-decades old conflict with Iran. The mullahcracy’s latest burst of braggadocios threats and empty boasts about “controlling” the Persian Gulf and the Straits of Hormuz is a good opportunity to display some old-school deterrent action. We rich, comfortable moderns, of course, look on such brutal methods as relics of our savage past––barbarous behavior beneath our morally superior sensibilities. Don’t we live in the “international rules-based order,” where all agree that lethal force should be used only as a last resort, and that diplomacy and “engagement” should be the best way to resolve conflicts? Of course, the history of just the last century shows empirically that this is a pipe dream. In the real world our enemies and rivals live in, force isn’t an adjunct to diplomacy, but diplomacy is a “technical adjunct” to force, as Robert Conquest described the diplomacy of the Soviet Union, and what an advisor to Lyndon Johnson called a “weapons system” for the North Vietnamese. Moreover, diplomacy will work with the most determined aggressor only after national prestige has been maintained by a consistent punishment of those who break their word or cheat on their agreements, or by determined actions that threaten the aggressor’s own power and prestige. Ronald Reagan’s world-changing diplomacy with Mikhail Gorbachev worked not because the Soviets shared our principles and aims, but because diplomacy was preceded by Reagan’s military pushback against Soviet adventurism in Grenada, Afghanistan, and El Salvador; by his unpopular and much decried deployment of hundreds of U.S. cruise missiles and Pershing 2 ballistic missiles in Germany and other NATO countries in order to counter the Soviet SS-20s; and by a military build-up, and the Strategic Defense Initiative to build anti-missile networks, that the Soviets did not have the money or technical skills to match. Until Donald Trump exited the disastrous nuclear-weapons deal with Iran, we had seldom shown such determination and willingness to use more than words and transient demonstrations of force against a sworn enemy. The overreliance on diplomacy is especially short-sighted in the case of Iran, which is ruled by a theocracy of Shia revanchist jihadists who base their government and social order on traditional Islamic law and belief. As such, Iran has explicitly and repeatedly demonstrated its scorn for and manipulation of the protocols and processes of diplomatic negotiation and international law. Indeed, it declared war on the U.S. with an act that graphically displayed its contempt for the Western “rules-based order” when it occupied our embassy and kidnaped its diplomatic staff, holding them hostage for 444 days. Jimmy Carter’s feckless and appeasing response to this crisis confirmed the mullah’s disdain for a country that later Osama bin Laden would say had “foundations of straw.” Executive Orders amounting to paying Iran ransom brought the hostages home, since the Ayatollah Khomeini no longer had any political use for them. Unfortunately, the Reagan administration damaged U.S. prestige when in 1983 it failed to punish Iran for its jihadist proxies’ bombing of the U.S. military barracks in Beirut, killing 241. This unpunished attack became a staple of al Qaeda training lectures, supporting bin Laden’s belief that given America’s moral weakness, “it is possible to target those foundations and focus on their weakest points . . . then the whole edifice will totter and sway, and relinquish its unjust leadership of the world.” No better example exists of the still valid connection between aggression and prestige damaged by a failure to punish attacks. At the end of his second term, however, the Reagan administration intervened in the Iraq-Iran war to deter Iran’s wanton attacks on international shipping and American military assets in the Gulf. From July 1987 to September 1988, the U.S. military conducted Operation Earnest Will­­ to protect Kuwaiti shipping, but also to retaliate for Iran’s attack on the USS Stark, which killed 37 sailors and injured 21. At the operation’s height, 30 vessels from three battle carrier groups destroyed Iranian naval vessels and mine-layers, and Revolutionary Guards bases located on oil platforms. By the end of July, attacks on commercial shipping had nearly stopped, and Iran and Iraq ended the war. No better example exists that illustrates how lethal force can concentrate wonderfully the mind of an aggressor. Subsequent history, however, has shown that bluster and appeasement have more often characterized our relations with Iran, despite its being implicated in the 9/11 attacks, its material and financial support of jihadists killing our soldiers in Afghanistan and Iraq, its taking captive U.S. citizens and sailors, its adventurism in the Syrian civil war, its genocidal anti-Semitism and support for Israel’s terrorist enemies, and its rank as the world’s foremost state sponsor of terrorism. This enabling of a committed aggressor culminated in the Obama administration’s agreement to give Iran an opportunity to keep working towards nuclear weapons, with $1.5 billion and sanctions relief thrown in to sweeten the deal and to help fund Iran’s ongoing aggression. Trump tossed out the deal and reimposed economic sanctions, with a goal of completely cutting off Iran’s income from oil exports. However, sanctions can be evaded: too many European countries are still willing to do business with Iran; cut-outs can avoid sanctions against oil sales; and China is perfectly happy to buy Iran’s oil. And we can be certain that every day that goes by Iranian research is moving closer to creating a nuclear weapon. At the same time, Iran and its proxy Hezbollah are developing military assets and infrastructure in southern Syria, as they inch closer to Israel’s northern border in preparation for an attack. Our most valuable regional ally, and a model of liberal democratic freedom, does not have the luxury of waiting for the regime to collapse under the weight of sanctions and domestic discontent. Even a failing state can do a lot of damage on its way to the dustbin of history. Trump’s aggressive stance has drastically reduced the number of incidents of Iranians’ harassment of shipping transiting the Gulf and the Straits of Hormuz. But recent Iranian bellicose rhetoric needs to be countered with more than words. A week ago, Trump’s National Security advisor, John Bolton, responded to Iranian bluster by promising “maximum pressure” on Iran from economic sanctions. Iran in turn, implying that America feared Iran’s might, threatened to attack U.S. and Israeli military targets and to block the Straits of Hormuz through which pass 18.5 million barrels of oil a day. This bluster comes as Iran continues its downward economic spiral, certain to increase when full sanctions on oil exports start in November. This means that the next few months will offer an opportunity to ratchet up pressure on Iran. A kinetic response more photogenic than counter-threats, along with rigorously enforced sanctions could increase domestic pressure against the regime. And it would expose Iran’s arrogant rhetoric as mere whistling past the graveyard, damaging its prestige as the premier Muslim resistor of the “Great Satan” whose beard it has pulled with impunity for 40 years. What sort of response? Perhaps we could send the Fifth Fleet to sail through the Gulf and the Straits, and challenge Iran’s boast of “controlling” those waterways. And if the mullahs should respond with force, give them a whiff of grapeshot. Blowing up some fast-boats and shore batteries could help them get their minds right. After all, Israel has in the last few years launched over a 100 air strikes against Iranian and Syrian military personnel and matériel, and so far, Iran has responded with bluster. The mullahs know that Israel will continue to “mow the grass” indefinitely to protect its citizens, and won’t be scared off by threats of the “mother of all wars,” as Iranian president Rouhani recently promised. Like Israel, we need to let the Iranian regime know that we will win any game of chicken they want to start. In this long war against Iranian jihad, the stakes are too high for us to fall back into the deceptive comfort of “diplomatic engagement” and endless wars of tweets and counter-tweets. We’ve avoided decisive action for 40 years, and all we have accomplished is a fanatical millenarian cult rampaging in a region vital to our national interests, threatening our closest ally, and moving ever nearer to possessing nuclear weapons. If that finally happens, the “international rules-based order” and its fetish for diplomacy will look like a suicide pact. A warning to the Jewish state’s enemies. The Israeli Navy will soon receive a significant boost in its operational capabilities after it was announced that Israel Aerospace Industries (IAI) entered into an agreement to equip Israel’s newest and most powerful warships – the Sa’ar 6 – with Barak-8 missile defense systems. The Barak-8 is a sophisticated missile defense system that can intercept aircraft and is equally adept at countering incoming missile threats. The platform is currently in service with the Israeli Navy as well as the Indian Navy and air force. This development comes on the heels of an announcement by the Israeli Ministry of Defense that it awarded a contract to Israel’s Elbit Systems for the delivery of electronic warfare suites to the Israeli Navy. The Sa’ar 6 class of corvettes includes a series of four new warships that will be used alongside other naval assets to patrol Israel’s Exclusive Economic Zone (EEZ). The Sa’ar 6 is a formidable platform brimming with sophisticated weaponry and electronic surveillance equipment. It will be armed with 40 Barak-8 missiles as well as multi-round launchers equipped with C-Dome interceptors produced by Rafael Advanced Defense Systems. The C-Dome is a point defense missile system capable of intercepting short-range rockets and artillery and was based on the combat proven Iron Dome and Barak 1 designs. The Barak-8 and C-Dome missile defense systems will be able to provide the navy with a formidable multi-tiered defense capability against a variety of threats including aircraft, drones and sea-skimming cruise missiles like the Chinese C-802 and Russian Yakhont, both of which were supplied to Hezbollah via Iran. The Sa’ar 6 will also be fitted with an Oto Melara 76mm Super Rapid gun mount, which offers high rate of fire against air and surface targets. To address long-range surface threats, the Sa’ar 6 will deploy the combat-proven, sea skimming IAI Gabriel IV and Boeing RGM-84 Harpoon anti-ship missiles. Rounding out the weapons package will be two torpedo launchers for MK54 Torpedoes, and two 30mm Rafael Typhoon remote, stabilized weapons platforms. The warship will also accommodate helicopters like the AS565 Panther of the Maritime Helicopters Squadron. The Panther, which is also known in Israel as the Atalef, is a versatile platform that can be used for combat assault, anti-submarine warfare as well as search and rescue operations. Up until 1973, the Israeli Naval Service (INS) was the Cinderella stepchild of the Israel Defense Forces (IDF). Its achievements in the Arab-Israeli wars of 1948, 1956 and 1967 were overshadowed by those of the air and ground forces. That mindset changed on October 6, 1973 when the Israeli navy was the only branch of the IDF not taken by surprise during the initial phases of the Arab onslaught. At the outset of the war, the Navy’s 12 Cherbourg and two Reshef class Fast Attack Craft (FAC) set sail for Syrian and Egyptian coasts and engaged with the Syrian and Egyptian navies, destroying the bulk of them. Having cleared the seas of enemy vessels, the INS attacked enemy coastal installations at will and harried the enemy until the last day of the war, which ended on October 24. The INS’s role in defending Israel expanded as maritime threats against the Jewish State grew. The navy was tasked with patrolling Israel’s vast coastline, ensuring that maritime routes in the eastern Mediterranean, the Gulf of Eilat and the Red Sea remained unimpeded. The INS has also been tasked with interdiction operations ensuring that weapons destined for Iran-backed proxies like Hamas and Hezbollah never reach their intended destinations. Successful naval interceptions of ships like the Santorini, Karine A, Abu Hasan, Francop, Mavi Marmara, Victoria and KLOS C, prevented illegal contraband, including deadly weapons from reaching Islamist terrorist entities intent on causing mayhem. Discoveries of vast gas reserves in Israel’s EEZ as well as the prospect of a nuclear-armed Iran have further underscored the importance of the INS in securing Israel’s strategic interests. Israel’s formidable submarine fleethas assumed the role of second-strike nuclear deterrence. Some of Israel’s submarines utilize an advanced propulsion system called Air-Independent Propulsion, which uses fuel cell technology. This technology enables the submarines to remain extremely quiet and submerged without the need for resupply for up to 30 days, making them ideal platforms for covert as well as offensive operations. In addition, Israel’s subs are equipped with long-range Popeye Turbo cruise missiles. This highly accurate missile can be equipped with conventional and nuclear weapons. The stealthy characteristics of Israel’s sub fleet means that the vessels can approach the waters of any hostile nation virtually undetected, launch a missile salvo and quickly redeploy. Iran, Hezbollah and Turkey, led by their unhinged leaders have tried to heighten tensions in the eastern Mediterranean, where Israel, Greece and Cyprus have been cooperating in natural gas exploration, development and export. Large gas deposits situated in Israel’s EEZ have instantly transformed the Jewish State into a regional energy superpower. Sixty percent of Israel’s electricity needs are currently met by offshore gas deposits situated in the EEZ and lucrative export deals have already been signed with Jordan and Egypt. Israel is also looking to supply European countries currently reliant on Russian gas and seeking diversification of energy suppliers. A strong Israeli naval presence in the EEZ will serve as a deterrent for those foolhardy enough to contemplate embarking on reckless adventures. 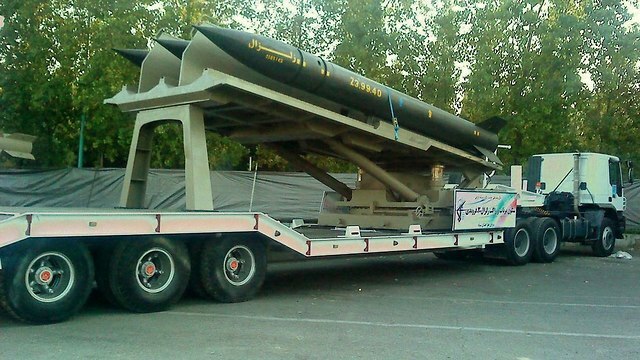 Zelzal, Fateh-110 and Zolfaqar missiles have ranges of between 200-700 km, making Israel’s main coastal city vulnerable if deployed in southern or western Iraq; ‘The logic was to have a backup plan if Iran was attacked. The numbers can be increased if necessary,’ says one Iranian official; Israel issues no immediate comment. 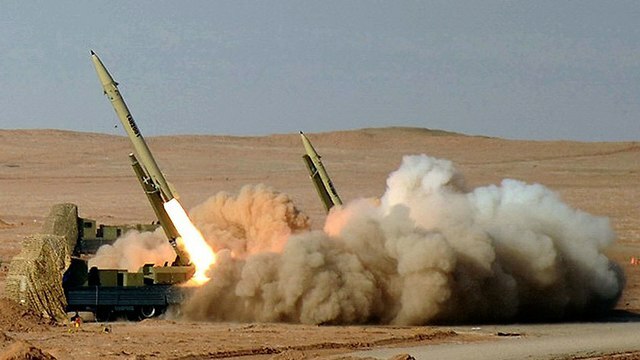 Iran has given ballistic missiles capable of striking Tel Aviv to Shi’ite proxies in Iraq and is developing the capacity to build more there to deter attacks on its interests in the Middle East, according to Iranian, Iraqi and Western sources. The Zelzal, Fateh-110 and Zolfaqar missiles in question have ranges of about 200 km to 700 km, putting Saudi Arabia’s capital Riyadh or Tel Aviv within striking distance if the weapons were deployed in southern or western Iraq. Iran’s Sunni Muslim Gulf neighbours and its arch-enemy Israel have expressed concerns about Tehran’s regional activities, seeing it as a threat to their security.Israeli officials did not immediately respond to requests for comment about the missile transfers. Prime Minister Benjamin Netanyahu said on Wednesday that anybody that threatened to wipe Israel out “would put themselves in a similar danger”. 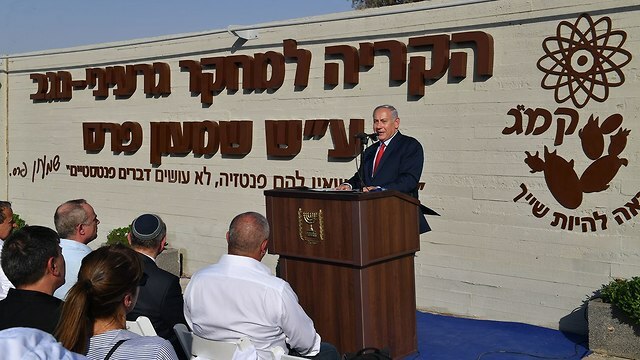 “Those who threaten to wipe us out, put themselves in a similar danger, and in any event will not achieve their goal,” the prime minister said during a ceremony to rename the nuclear research center after the late Israeli statesman Shimon Peres. “Our enemies know very well what Israel is capable of, they know our policy, and anyone who tries to harm us—we will harm them,” Netanyahu added. While the European signatories to the nuclear deal have so far balked at US pressure, they have grown increasingly impatient over Iran’s ballistic missile program. France in particular has bemoaned Iranian “frenzy” in developing and propagating missiles and wants Tehran to open negotiations over its ballistic weapons.Foreign Minister Jean-Yves Le Drian said on Thursday that Iran was arming regional allies with rockets and allowing ballistic proliferation. “Iran needs to avoid the temptation to be the (regional) hegemon,” he said. A regional intelligence source also said Iran was storing a number of ballistic missiles in areas of Iraq that were under effective Shi’ite control and had the capacity to launch them.The source could not confirm that Iran has a missile production capacity in Iraq. The latest claim by the Russian Foreign Ministry on Thursday, Aug. 30, was that “it will take the US and its allies just 24 hours to ready its missile-strike group for an attack on Syria.” This charge followed Moscow’s announcement of a major Russian naval exercise in the Mediterranean Sea starting as soon as Saturday Sept. 1 with 25 warships and submarines and 30 planes, including fighter jets and strategic bombers, taking part. In Washington, the Russian ambassador warned the US against engaging in “unjustified and illegal act of aggression in Syria.” And in Moscow, The Foreign Ministry’s spokesperson Maria Zakharova told reporters that the coalition strike group has around 70 delivery vehicles deployed in the Middle East and was ready to attack Syria in just 24 hours. 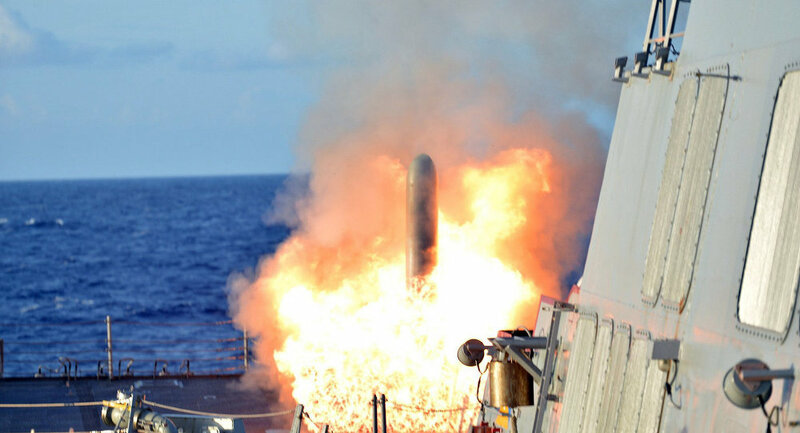 She said its arsenal includes nearly 380 cruise missiles and the US Navy destroyers Karni and Ross, each carrying 28 Tomahawk cruise missiles. According to Zakharova, the strike group of the United States, France and the UK currently consists of planes, strategic and tactical aircraft at bases in Jordan, Kuwait, Crete.” The Russian official omitted to mention Israel. On Wednesday, Foreign Minister Sergei Lavrov accused the US of planning a false flag chemical weapons attack in Syria’s Idlib province to frame Damascus and use as a pretext for a new strike. In a classical pot calling the kettle black tactic, Lavrov accused the US of planning a “provocation” in Syria to thwart the coming Russian-Iranian-Syrian offensive against the rebels in Idlib, in order to save the Syrian “terrorists” – just as America did in Libya and Iraq.